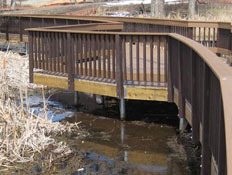 What Are Helical Boardwalk Anchors? Boardwalk foundation repair utilizes helical anchors and Tar Heel Foundation Solutions provides the convenience of replacing traditional concrete methods of installing foundations with a more economical and greener solution. 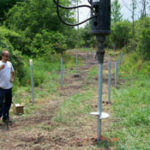 Helical anchors have a proven track record in allowing contractors to save time and money while not disturbing the surrounding terrain or ecosystem. 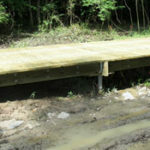 Using helical anchors for boardwalk foundations also provides a stable and verifiable deep foundation element to your project. 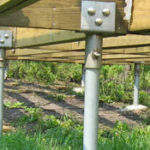 Round shaft helical anchors are the most preferred style of helical system for boardwalk applications due to its resistance to bending and lateral stability. Helical anchors can be easily removed when placed for temporary applications. The anchors can easily be unscrewed from the soil and placed again without damage to the soils or the anchor. With many sizes and pile configurations available, Tar Heel Foundation Solutions along with Earth Contact Products (ECP) can design and recommend the correct anchor for your job. Contact Tar Heel Foundation Solutions for all of your boardwalk foundation needs in the North Carolina area.